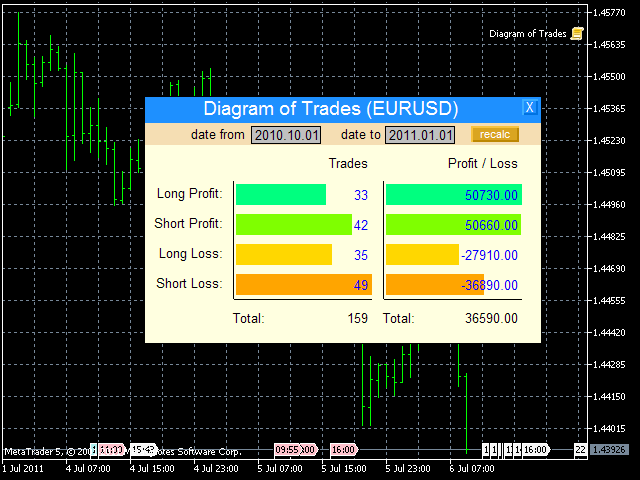 The script shows statistics of trades for the specified period. 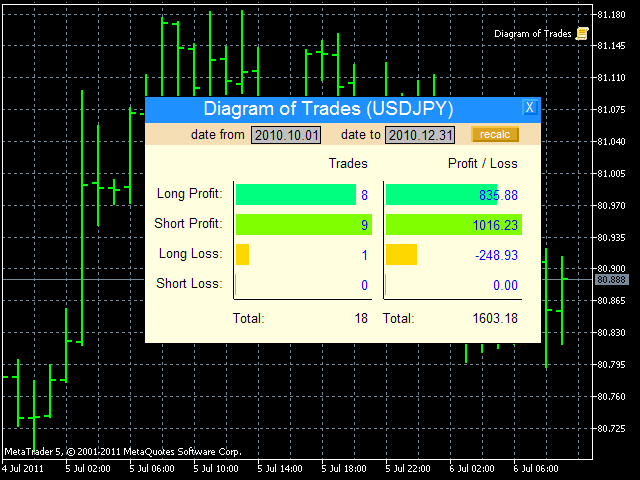 Specify 2010.10.1 in "date from", and the diagram will be shown. Note: This is a Limited Edition of Diagram of Trades. It works only on EURUSD on Monday.